Some of these statements were taken out of context (see below). However, these statements got me thinking. What IS the purpose of education anyways? and is English really a culprit? Everything else is secondary and arises from the satisfaction of these two objectives. Is nation-building the most important task of education? It is, in terms of policy. But from the point of view of the student, it definitely is not. The purpose of education is simply to make the student aware of the world around him and give him the ability to go beyond what is already known through his own synthesis. This may include asking questions about how the country is being run and what crop to plant in a given season to finding cures for cancer. In terms of policy, education is supposed to create responsible, patriotic citizens with a love for the country and awareness of its civil structure. Sadly, it is true that the Indian education system has failed even from a policy perspective. In addition, I believe that India, today and over the past, has also failed miserably in satisfying the primary objectives of education. Hence, we have hundreds of thousands of students graduating our colleges, but hardly a fifth of them being actually employable. Our failed education system is the reason why only 1 or 2 Indian universities (out of 11,000!!) end up being recognized among the top 200 in the world, and why Indian high-school students fail to make a mark in any international test of learning performance. 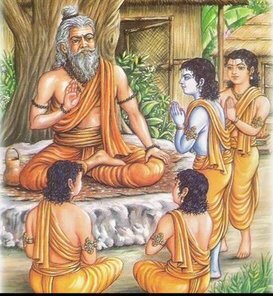 Guru Shishya (Teacher-pupil) tradition in India. The words of the teacher are assumed to be the distilled wisdom of the ages. which equates the teacher to the all powerful trinity of Gods – Brahma, Vishnu and Mahesh. The Guru is the supreme God. The student should worship and pray to him with all his heart. Even today, rote learning and marks and grades are given more value than imparting “real education”. The priorities and the purpose of education, sadly, is not clear. A system based on adherence to Guru’s teachings, on faith in elders and scriptures or that based on rote learning can never foster critical thinking, unless the Guru himself encourages such behavior. Even the first objective of education has not been satisfied by the Indian education system! But lets assume that that objective is indeed satisfied. You don’t need English to gain the ability to ask questions. Traditionally, we have had great thinkers who have tackled serious questions on philosophy, astronomy, mathematics, physics etc., without the knowledge of English. So, yes, for the first objective, English is not needed. But what about the second objective? The thinkers and scientists of yore – Patanjali, Kanad, Aryabhatta, Susruta – did remarkable things. But they could only succeed because they knew the prevalent language of their day – Sanskrit. Just like that, if you don’t know English today, you can ask all the questions you want but you will be extremely limited in your ability to seek answers. That too depends on the field. If you want answers related to philosophical questions, sure, India has more literature on that than any nation on the planet. However, you will never know what Plato said or what Popperian science is or how philosophy is being reinterpreted in the light of neurological discoveries. If you want to get into political science, you might learn the teachings of Chanakya and views of our eminent freedom fighters like Bal Gangadhar Tilak on how the government should be run, but you will not know how Magna Carta came into existence, why democracy is the prevalent political system of today and how United Nations operates. If you want to know about science, forget about it if you don’t know English. Thus, I argue that in today’s world English is the most important, if not the ONLY means to achieve progress. Now someone might say, “Hey, China manages to progress without English! South Korea and Japan do it! Why should WE bow before the Western world?” Well, that’s a fallacious argument in the first place. China educates its people in Mandarin, but the people who hack into computers of the NSA or those who build turbines and design massive buildings cannot do it without learning more from books or from the Internet which are English-based systems. They may translate those books into Chinese, but that cannot argue against the fact that English is the absolute medium for information transfer today. History is witness to the fact that civilizations have progressed only with the influx and exchange of new ideas. Civilizations that failed to encourage new thoughts and failed to encourage sharing of ideas ended up as closed and insulated, and finally perished. If we end up keeping our children from English, espousing regional languages over English for the sake of nationalism and place a priority on the study of our ancient scriptures over modern scientific knowledge, then we risk cultural stagnation. I should make it clear that I am not suggesting regional languages should be thrown in the back…it is absolutely important to know your roots and your culture to be a responsible citizen of the country. This is just an argument for why English should not be thrown in the back. Finally, about the statement that English ends up corrupting our minds…well, as usual, it was twisted by the media. The context of that statement was different (see video below, starting at 6:10), but I still have issues with some statements in that speech, which I will leave for discussion on another day. Jainism ( जैनधर्म – Jainadharma) is one of the most environmentally conscious religions in the world. The religion is based on the principal of non-violence towards all living beings. The religion is thought to have its roots in the Indus Valley Civilization and the later Vedic Civilization, a period of intense philosophical deliberations on the Indian subcontinent. 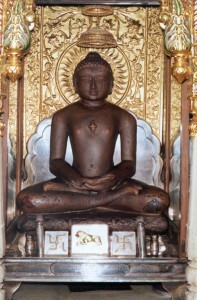 Jainism was firmly established in India between 9th and 6th century BC. Today, there are over 4 million followers of Jainism in India and around the world. The most important religious holiday for Jains worldwide is Mahavir Jayanti, the birthday of Lord Mahavir. Lord Mahavir was the 24th and the last Tirthankar in Jainism who played an important role in defining the Jain religion as it exists today. Bhagwaan Mahavir, who is also known as Vardhaman Mahavir, was born in 599 BC in Kundgram near Vaishali of Bihar in India in the royal family of King Siddartha and Queen Trishala . After 30 years as a householder, he abandoned his family and went to the forests to perform a penance. After about 12 and half years of severe penance he attained “Keval Gyan” (Omniscience). Since then he preached non violence to people and insisted to inculcate the feeling of compassion towards all forms of living beings. He, himself set as an excellent example by remaining calm and forgiving all the creatures who imposed severe austerities on him. He is the last tirthankar of the 24 tirthankaras , who attained salvation on New Moon Day of Kartik, 527 B.C.E at Pavapuri in state of Bihar in India. Apart from preventing oneself from act of injury or killing, Jainism also considers controlling emotions like aggression, possession, and consumption that are usually the root causes of violence in today’s world. The core beliefs of Jainism demonstrate how close the beliefs are to the ethos of environmental sustainability. Jain Agams depict nature in a very unique way as it says that five main elements of nature; ”Prithvi” (land, soil, stones, etc), ”Jal” (Water resources including cloud), ”Agni” (Fire), ”Vayu” (Air) and ”Aakash” (Sky) are living creatures and must be treated as living beings. These five types of elements go on to form five classes of beings (as shown alongside) such as vegetation, trees and plants, fungi and animals. This unique concept of Jainism restricts its followers to harm any creature and eventually leads to limited consumption as well as help in protecting environment. Lord Mahavira, who lived in forests and jungles most of the times during his asceticism, attained Keval gyan (omniscience) on the bank of river Rijuvalika below a shal tree. It is noteworthy that Mahavira is the 24th and last Tirthankar of Jain and all others also lived their ascetic life in similar manner. They preached sitting in Samavasharana after enlightenment. The Samavasharana itself is a complete ecosystem. Lord Mahavira has clearly warned in Acharanga Sutra, first Jain Anga Sutra, that contamination of any natural resources is not desirable in any case. He has gone in to details of contamination. Jainism considers these as weapons to creatures (natural resources). One of the ways Jain monks or the followers of Jainism, observe non violence is by restraining themselves from eating the roots like potato, radish, carrots, ginger etc, especially during the 4 months of rainy season. The reason behind this is they think that during harvest of these vegetables, earth is dug out and the soil organisms are killed more during rainy season. Jains called this period as “Chaumasu” or “Chaturmas”. In this period, even the monks do not wander from one place to another in order to avoid any unintentional killing of any form of life. For example, on a rainy day, they would observe fasts as they cannot walk on the wet streets to get “Gochari” (get food for themselves). Jain scriptures motivate people for minimal consumption. They emphasize on ”Tyaga” (Sacrifice). Jain ‘‘Sharavaka” / ”Shravikas” (Laymen and women) are preached to minimize their ”Bhoga” (Consumables). The seventh vow for Jain households is ”Bhogopbhog Pariman Vrata” (Vow). This vow restricts them from unlimited consuming of natural resources. Moreover, this vow is a ”Shiksha Vrata” (Educational vow). It preaches its observers to learn and educate themselves towards limiting their consumables. Why India needs better public health? They say that change always involves a pivotal event that can drastically change the course of things in a new direction. Change is often necessary be it in the way we think or in major things e.g. the way we deal with things of national importance. Revolutions in science and technology often change the course of human life and one such change deemed to happen is in global public health. We are currently on the verge of experiencing a third wave of revolution in science. 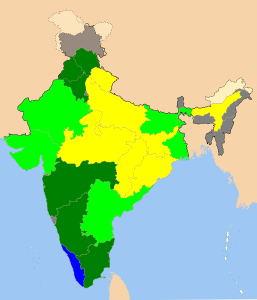 Life expectancy in many parts of India is still less than 60 years (yellow). These regions are some of the most densely populated regions of the country. The first happened about two decades ago when scientists began understanding that DNA was the basis of genetic transmission and the first animal Dolly was cloned. The second revolution happened around the early 1990s when scientists started understanding the molecular and cellular basis of genetic events. According to the latest report by UNFPA, the human population on this planet is 7 billion and this huge population certainly poses numerous challenges and at the same time several opportunities to tackle the problems at hand. India is currently the second most populated country in the world and by 2015, the population is predicted to rise making India one of the most populated countries in the world. If we fast forward and extrapolate to 2020, India will still remain one of the most populated countries in the world, though world population would seem to plateau at that time. These numbers for population of India are not unexpected. China has taken drastic measures to control their population by implementing several policies where India has obviously failed. But these increasing population numbers mean huge impacts on public health and since Indians will constitute about 17% of the world population they will have a significant impact on global public health too. The need for better public health cannot be overstated here. What we fail to understand is the health of a nation is pivotal to its economic growth. 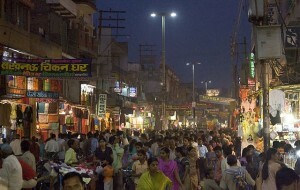 Currently, the population of US is increasing steadily but this increase is due to migration of the youth and due to the high standard of living and good public health practices and strict environmental regulation, issues of public health are seemingly less of a concern as compared to a country of 1.2 billion people like India. Another issue particularly relevant to India is of environmental injustice which arises as an offshoot of having huge populations reside in a small square kilometer areas surrounding major cities. Most people residing in such areas belong to low-income households who can barely afford 2 meals a day let alone feel or even bother about environmental pollution surrounding them. Good health facilities are available mostly to the higher income households who can afford to eat and live better. Establishing institutions that will solely govern the status of public health. Primary health clinics in these areas can work with regional hospitals documenting cases of diseases such as tuberculosis, Hepatitis B, HIV to cancers of the cervix, lung etc. Give grants to small institutions to conduct research on nearby-areas simply documenting preliminary studies of effect of chemical contamination on human cells. Create awareness at the grass root levels e.g. Schools, primary health centers, NGOs can talk with people about the industries nearby, talk with parents regarding their child’s health, provide free medicines at the beginning of each season, free vaccination camps etc. Reduce the use of plastics drastically. Take measures to properly recycle metal tins, nickel containing batteries, wires, e-waste, electronics especially in ship breaking areas ,junkyards or places where salvage workers come in direct contact with toxic metals and chemicals. Proper identification and documentation of hazardous waste sites across the country. Each site should then be studied systematically encouraging collaboration between scientists, public health doctors, local NGOs and citizens or village folk. These methods are not guaranteed ways of achieving success over the perils of environmental degradation and public health problems affecting India today but hopefully a few steps in the right direction can make a lasting impact. If you are interested please see the link below that points towards a series of articles published in the medical journal –The Lancet, focusing on the state of Indian public health. 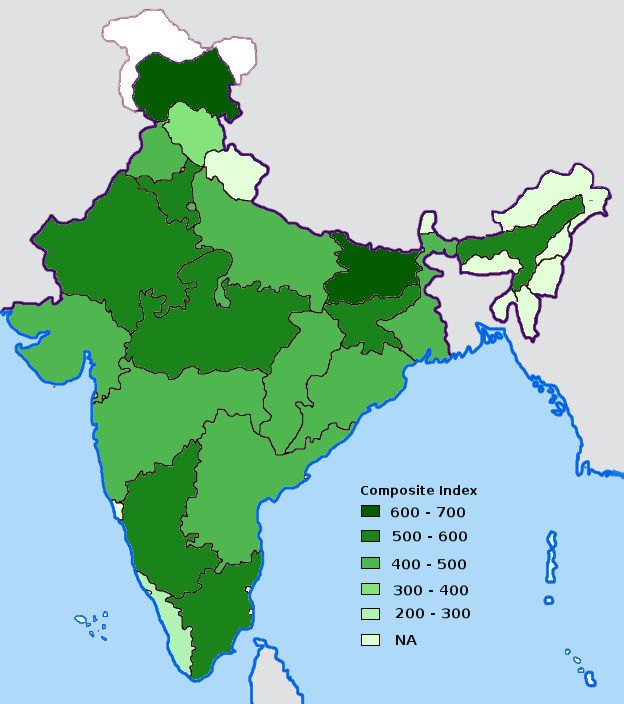 Corruption Index of various Indian states. Darker color indicates more corruption. The Manmohan Singh government at the centre has been “heralded” as the most corrupt government in the history of independent India. Since 2008, there have been at least 112 reported scams and frauds in India. According to one study, India has lost over $500 billion (INR 25 lakh crore!!!) just due to corruption since independence! Thats 1/3rd of our GDP of ~$1.8 trillion! Forget about bad policies, wars, waste, inefficiencies in the system…this figure is JUST DUE TO CORRUPTION! Sadly, this is not just corruption occurring in politics, but in big businesses, small businesses and government services too. It is all pervasive and ubiquitous. It is clear that these measures – especially the RTI Act – have had a very significant impact on corruption. Arvind Kejriwal and Team Anna are pressing for even more stringent measures. The big question to ask at this point is whether these measures will indeed curtail corruption or whether Indians will find a way to “innovate” and bypass the system as always? The answer to this riddle lies in the theory of evolution. Increasing population in India causes increasing competition for resources like jobs, money, education, stability. This mad race for resources leads to corruption. The theory of evolution is a broad-based theory, the most famous part of which – evolution by natural selection – was proposed by Charles Darwin in 1859. What the theory says is that the natural tendency of living organisms is to change. At the molecular level, that happens via mutations in the DNA. However, once there is change, the environment around the living organism decides whether the change is beneficial or not. If the cost incurred by the change is low and the benefits high, then the change will thrive and spread in the population. However, if the costs are high and outweigh the benefits, then the change will be “selected against” and will be removed from the population. This is termed as natural selection. Now, since we living organisms share our resources with each other, another level of complexity arises in the form of competition for the resources. If the competition is high, the selection pressure will be high…individuals will be forced to change and adapt at a much faster rate than normal. If you don’t change, you will be selected against and weeded out from the population. Now think about the Indian society for a second. 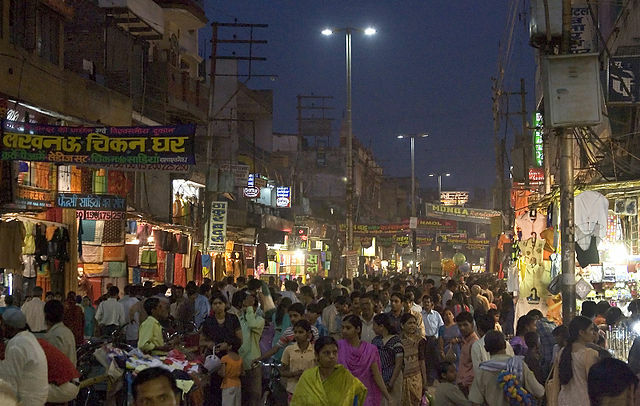 The population of India is 1.2 billion and the country is one of the densest countries on the planet. Thankfully, the land is abundant in natural resources, so some resources are not limiting. But for resources like jobs, money, land, education, food…there is an extreme competition! There is simply NOT ENOUGH of these facilities! We have to fight for it and get it by hook or crook or someone else will get it! There is a mad race for these resources! Thus, it is not very surprising that Transparency International found that the most corruption occurs in need-based services – like Police, Income Tax, Land administration and Municipal services. This is the evolutionary basis of corruption in India. A lot of us have suddenly gotten really rich. Given our huge population, we don’t know when this period of boom would end and the competition for resources will intensify. So what’s the safe alternative? Gobble up as much resources (money) as possible and store the black wealth away safely for future use. Given the costs associated with doing so are so low (corrupt officials are rarely caught), the cost-to-benefit ratio is atrociously low and is enormously encouraging for practicing corruption! This is probably the major difference between corruption levels in India and China despite having similar population sizes – In China, the cost of corruption is high and there isn’t as much competition for resources (update added: check at the end of the article). Significantly increase the cost for corrupt practices. Lokpal/Citizen’s Charter/Independent CBI/RTI are the right steps in this regard. The conviction rate for corruption-related cases should also go up drastically. As the Chief Justice of India suggested, there should be fast-track courts specifically for corruption cases. Significantly decrease the competition for resources so people don’t feel existentially threatened. This means increasing social mobility, bettering the delivery of services and creating more educational and infrastructural facilities. Manage resources wisely. This means drastically increasing the use of technology, internet, increasing R&D spending and conducting periodic scientific surveys of where the resources stand and are they being distributed properly. This unique insight offered by evolutionary theory significantly reduces the complexity of the task. Don’t be mistaken though – these are not easy things to be accomplished politically and logistically. However, the faster we implement this three-pronged approach, the faster we’ll be able to reduce the tendency and the mindset for corruption in the country. Edit (27th October): Just saw this news report in New York Times talking about how the relatives of Wen Jiabao, the Chinese premier, have accumulated a $2.7 billion fortune since he became the head of the nation. The extended family of the next-in-line, current Vice President Xi Jinping, has also accumulated hundreds of millions of dollars in the past decade. So China isn’t that different from India at the higher levels after all…in India, the free press (or whatever is left of it) may be vigilant in getting these murky dealings out into the public. You simply can’t do that in China and so they remain buried. The question here is – how widely/deeply has corruption percolated in the Chinese society? The Project Brahma blog aims to document ideas on Education, Environment and Society related or relevant to India. The Project Brahma blog accompanies our biodiversity-related website - Biodiversity of India. Please read our post What to expect on these pages for more details.